Sister Sharon is a Religious Sister of Mercy who holds a doctorate in canon law. 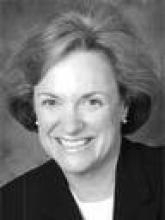 Prior to coming to RCRI on April 1, 2014, she was the Executive Coordinator of the Canon Law Society of America. She has been a canonical consultant for religious institutes and diocesan bishops. She also had been Associate General Secretary to the United States Conference of Catholic Bishops.